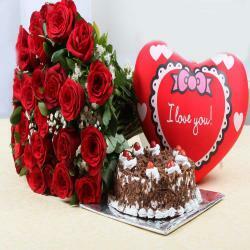 Product Consists: Round Basket Arrangement Of 14 Mix Roses with a ribbon bow on handle, 1 Kg Round Red velvet cake along with Red heart shape small cushion. 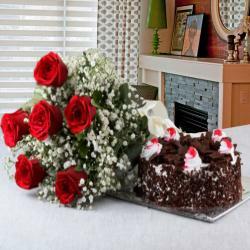 Surprise your loved ones in India with an amazing arrangement gift arranged exclusively. 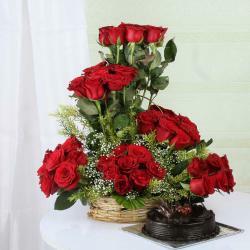 This aromatic arrangement will surely reveal your heart-felt thoughts and emotions to your dear ones. Send this hamper along with other Gifts to India through us and make your dear ones feel special. This lovely arrangement you can gifted at any occasion like onam, Parents Day Birthday, Anniversary, Independence Day, Thanksgiving Gift, Friendship Day, Mothers Day and many more. 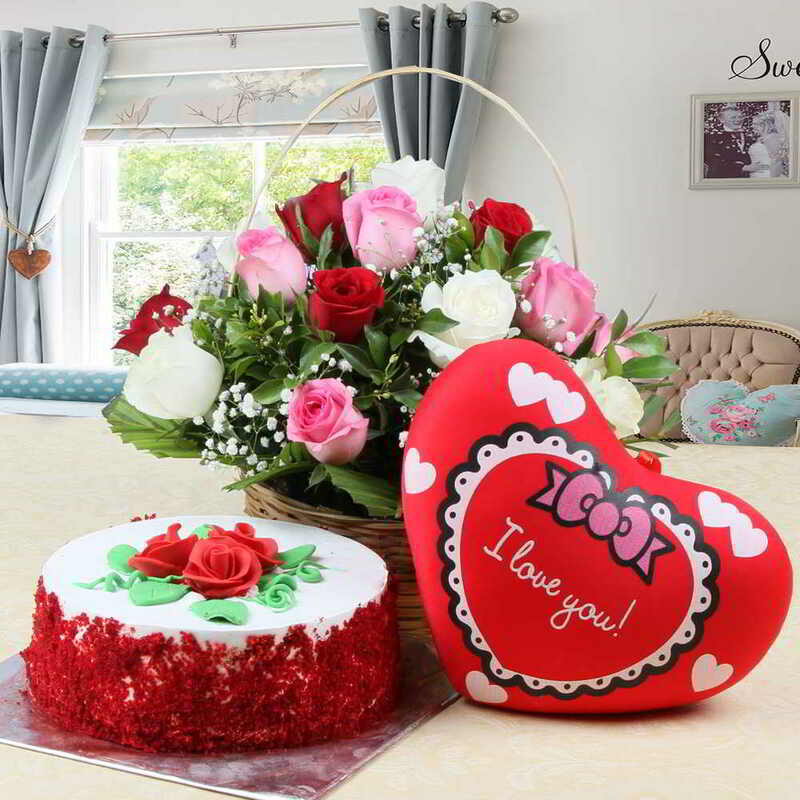 Product Consists: Round Basket Arrangement Of 14 Mix Roses with a ribbon bow on handle, 1 Kg Round Red velvet cake along with Red heart shape small cushion.